The primary goal of the Southern Humboldt Business and Visitors Bureau is to accelerate sustainable economic growth through tourism marketing and destination development. To provide business leadership and effective coordination. The Bureau is primarily a community organization with the goal of developing, promoting and maintaining a healthy business and visitor industry in the Southern Humboldt area. The SHBVB will embrace all changes of the Southern Humboldt Business evolution without separation of business kind. Striving to work in a cohesive manner with like-minded community organizations. THANK YOU TO OUR CURRENT MEMBERS AND PARTNERS! 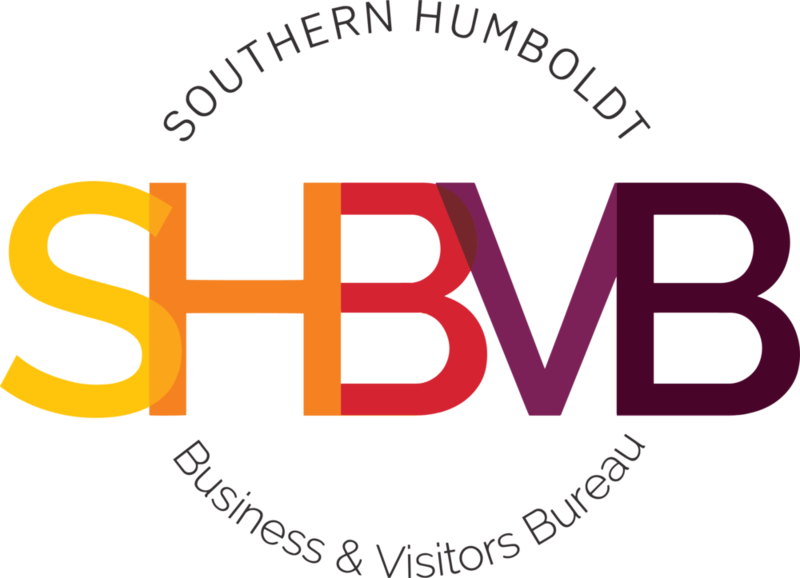 The SHBVB is working in partnership with The Southern Humboldt Hotel Lodging Alliance – SHLA, focusing on destination development and tourism marketing in Southern Humboldt, along with overall economic expansion for the Southern County of Humboldt and the Southern Humboldt Lodging Industry. We are proud members of Caltravel! Our SHBVB board of directors meeting is Thursday, December 20th at the SHBVB office in Garberville, 12pm. Just like Southern Humboldt, our website is evolving.